With more access to information than ever, today’s customers own the buying process. They dictate how and when to interact with product and service providers, often waiting late into the buying journey to contact a vendor directly. This trend has been well-documented in recent years, but thanks to increased reliance on a range of mobile devices, marketers and IT departments still struggle to create, manage and deliver multi-channel content that converts. 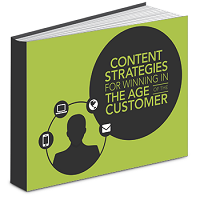 “Content Strategies for Winning in the Age of the Customer” is published by Quark Software Inc. For more information about Quark’s approach to content, which starts with Smart Content, please visit: http://www.quark.com/SmartContent.